bringing by rubber rollers, the water is easily detaining between each rollers. If adopted normal dampening system , operators is hard to get the skill to balance the ink and water . 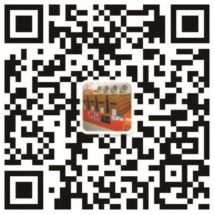 In the tinplate printing territory , alcohol dampening system can alleviate ink emulsification , double printing image , stained printing , water texture printing phenomenon etc. In the meanwhile , it overcomes the quality defect causing by normal dampening system to diminish the ink consumption ,to improve image resolution , to make the color distinct. Our dampening system is helpful to improve economic efficiency. Because of low volume usage of fountain solution , low working temperature , and constant density of our alcohol dampening system , it can improve printing effect ,additionally , alcohol dampening system has following characteristics. Alcohol dampening system also protect PS plate surface to make it clean and glossy. 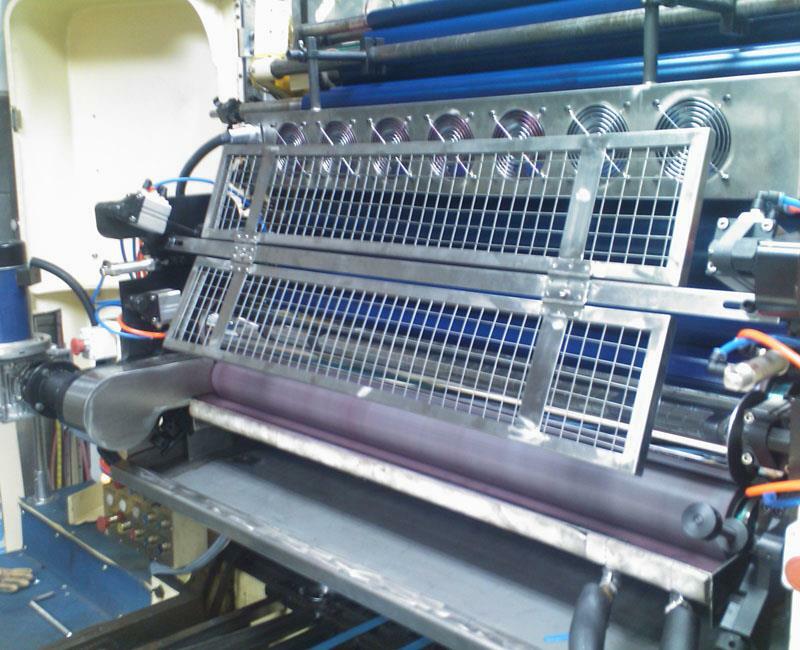 The W4 roller of our alcohol dampening system can swing or horizontally move between dampening rollers and ink rollers. The adjustment of W4 roller can make the dampening solution more even and it also can dispose the water mark on the printing plate ,and also can avert double printing image or ink picks etc. Non-absorbency of tinplate tends to fountain solution detained between the rolls to make itself emulsified .A row of fens installed aside the alcohol dampening system ,it not only can reduce the temperature of ink system , but also can bring away the moisture around the ink channel. It is helpful to keep proper ink printing state and diminish ink emulsification possibility. Constant water supply of FLJX alcohol dampening system can effectively avert uneven fountain solution distribution. Intermittent water supply tends to lead water tank fault. 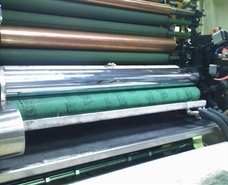 Transmission ratio of each alcohol dampening water rollers is different, transmission ration 1:0.8 of printing roller and dampening roller is ideal state, at this point , no matter what is the speed of the rollers , the transmission volume of fountain solution will keep even and constant to balance the inks ,furthermore to meet the printing requirement. Besides, this ratio also can protect the surface of PS plate, it can clean the surface of PS plate by disposing the residue impurities ,inks .However ,the normal water-glue dampening tends to dirt pollute printing plate, besides the distribution of dampening solution is not even, it will influence printing effect severely. 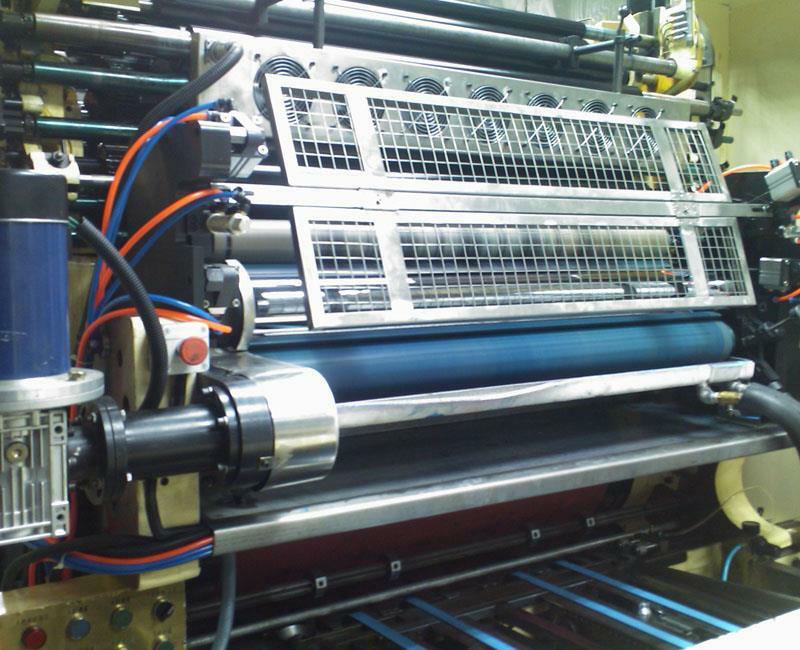 The W4 roller of our alcohol dampening system can swing or horizontally move between dampening rollers and ink rollers. The adjustment of W4 roller can make the dampening solution more even and it also can dispose the water mark on the printing plate ,and also can avert double printing image or ink picks etc. 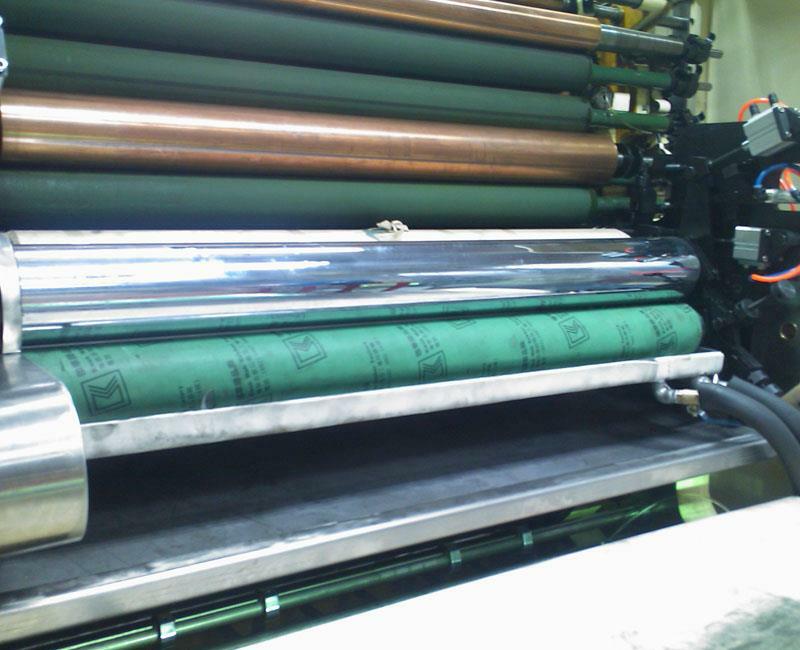 Non-absorbency of tinplate tends to fountain solution detained between the rolls to make itself emulsified .A row of fens installed aside the alcohol dampening system ,it not only can reduce the temperature of ink system , but also can bring away the moisture around the ink channel. It is helpful to keep proper ink printing state and diminish ink emulsification possibility. The special design of transmission roller’s diameter ,rubber material ,steel core weight of FLJX alcohol dampening system can stabilize the uniformity of fountain solution distribution and also diminish emulsification phenomenon . Constant water supply of FLJX alcohol dampening system can effectively avert uneven fountain solution distribution. Intermittent water supply tends to lead water tank fault.